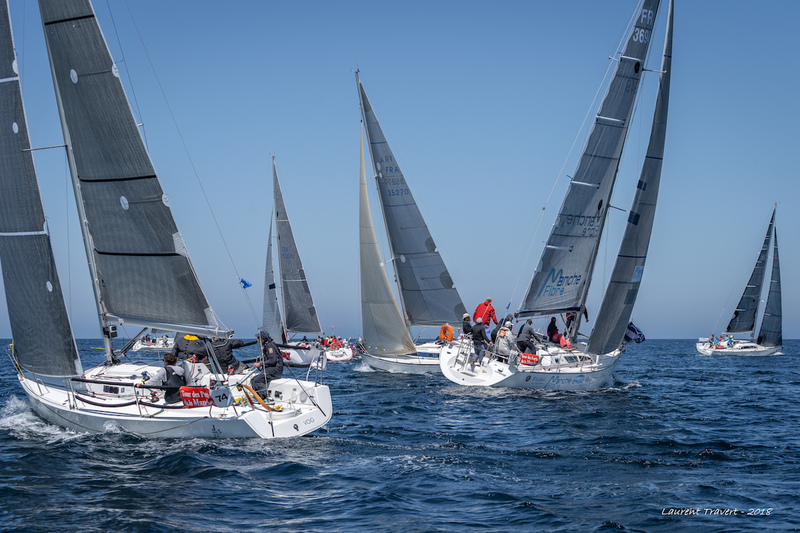 Fourth day of the Manche Ports Race 2018. Return to France today, to Barneville-Carteret. The wind has obviously decided not to co-operate this week and this leg was no exception. But after a few hours of calm, the contestants were at last able to set off on the day’s race and could enjoy the beautiful view of green cliffs and blue sea and sky as they arrived! The crews had to be very patient while they were waiting to race. There was absolutely no wind off Guernsey this morning which meant the fleet had to travel under engine. But a light breeze off the south east of the island of Sark enabled the race committee to give the starting signal for the race to Barneville-Carteret. The contestants had to deal with a strong current in the starting zone, and some had great difficulty crossing the starting line, but after some challenging tacking, everyone managed to set off. 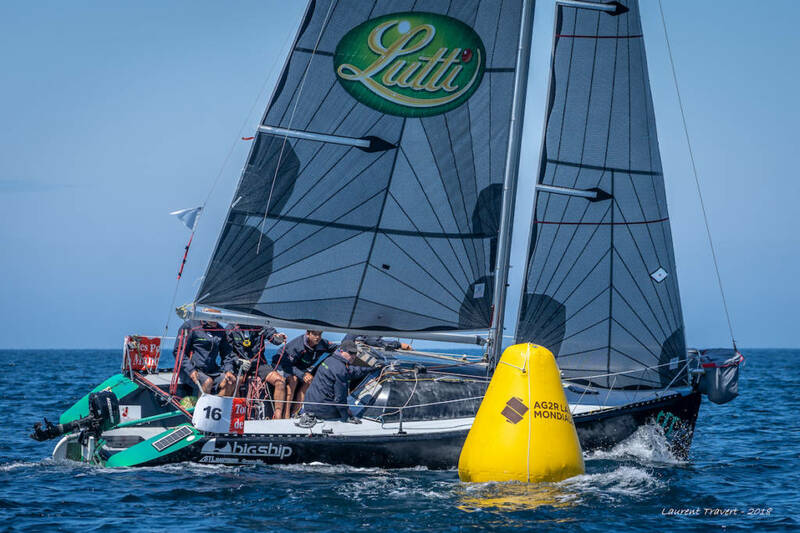 The crews had sun and wind from beginning to end of the race, and in the end, despite the vagaries of the wind, the stage was able to be validated. Very little change in the overall ranking after today’s race. In group 1, Pied d’Allouette won this leg and stays in lead position followed by Folies d’Amour, skippered by Jean-Baptiste Le Goubey and Pacha, skippered by Olivier Guillon. For once Axe Sail 2 didn’t win today in group 2, but the consistent performance of her crew in the previous races has enabled her to retain her provisional lead. Oirrior, skippered by Thierry Lecuru, is in second position followed by Monster 737, skippered by François Hubert, who won today’s leg. In group 3, Robert Bregeon’s la Railleuse is still in the lead for overall ranking ahead of the crews of Défi Voile Adaptée and Idée fixe. In group 4, Gwaihir Venturi, skippered by par Philippe Rios, didn’t win today’s race but keeps her overall lead. Jan Legallet’s Le Manche fibre Kunkel palettes is second followed by Club Dinette Bar Restaurant, skippered by Juliette Toutain. Finally, in group 5, no change. The indomitable Axe Sail won today’s race and therefore remains the unchallenged leader followed by Crédit Mutuel and Ville de Donville. Return to the land of the Brits tomorrow Thursday 12 July. 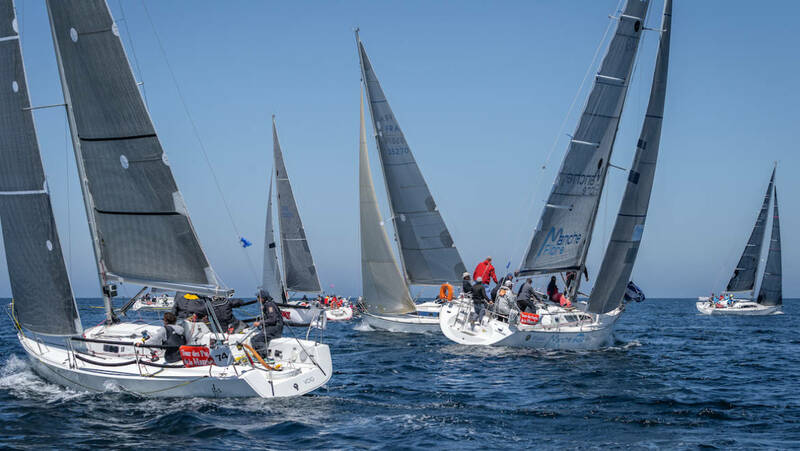 The day’s race will take the fleet from Barneville-Carteret to Jersey. The starting gun is planned for 10.30 but the race committee may be obliged to change the programme depending on the weather forecast.